Why Do German Luxury Cars Rapidly Decrease In Value? If you're prepared to spend a small fortune, better start with a big one. So you’re in the market for a new Audi, BMW, Porsche, or Mercedes-Benz. Congratulations. Because you’ve made it to a successful stage in your career and worked hard, isn’t it about time to reward yourself with something from those masterful engineers in Munich or Stuttgart? Of course, but you need to understand something before any purchase is made: Luxury cars, especially German ones, dramatically depreciate in value faster than you can learn to pronounce Umweltverschmutzung (translation: pollution). 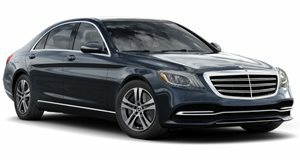 There are several reasons why, and by the time you’re done reading this you may think opting for a used German luxury vehicle is the better option. Why not let some other sucker pay the depreciation, right? Not necessarily. First things first, you should know that, according to vehicle pricing website , the average vehicle loses 34.5 percent of its value the moment it leaves the dealership. And no, a vehicle’s reliability does not necessarily directly correlate with its re-sale value. Of course poor reliability ratings won’t help, but sometimes neither do good ratings. Leasing can contribute towards a drop in re-sale value, too. In that same analysis from last summer, it was discovered that certified pre-owned luxury brands tend to lose more value than their downmarket competitors. Those vehicles were previously leased and turned in after three years. Considering leases account for more than 50 percent of BMW and Mercedes-Benz sales, there’s been a constant stream of three-year-old vehicles hitting the used car market, which in turn drives down costs. That’s good for those shopping for used cars, but not so much for people who opt to buy with the hope of getting a good trade-in price in the future. But these are market forces us mere mortals have no direct control over. Point being is not to let used car prices coming off leases determine whether or not you buy that shiny new BMW 5 Series you’ve had your eye on. There are other things to consider, such as ownership costs. Anyone who’s ever owned a German luxury car can probably tell you stories about trips to the dealership that ended up costing a small fortune. Sometimes the vehicle’s warranty covers all or part of the costs. Sometimes it doesn’t. It all depends on what’s specifically not working. Why can this be so pricey? Because German luxury brands have their own in-house trained technicians. For example, want to be an Audi dealership technician? Fine, you must graduate from “Audi School” first. These services cost more because tecnicians cost more to train for vehicles that are more complicated than your typical Chevrolet. Examples of this can be anything from a new engine component to a rearview mirror. These parts, often times, must be special ordered from Germany. Those costs are then passed down to owners who have no choice but to pay up or their vehicle will depreciate even more than it already has. Owners also, understandably, want that replacement rearview mirror or alternator. Go figure. At this point we want to clarify something: German luxury vehicles are excellent overall. In our experiences we’ve often times found their technologies, mainly the engines, to be far ahead of foreign competitors. Let’s face it, the Germans are amazing engineers. They love to tinker and re-examine every nut and bolt. There’s always something that can be made better and they’re determined to do so. But sometimes this approach can go a bit too far. That’s called over engineering. As impressive as the final product may be, it becomes increasingly complicated to maintain and repair, hence the specially trained technicians. This is not to say Japanese luxury vehicles, for example, are less impressive engineering wise, but the Asian approach does differ at times from that of their German counterparts. The Germans are absolutely wonderful at designing advanced vehicles, but they don’t always build them like the Japanese typically do. The Japanese long ago took pride in production quality and still do. Two countries with two different approaches. We also must commend German luxury vehicles for often being the first to introduce new technologies. 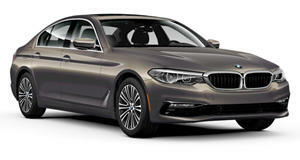 Remember back in 2002 when BMW introduced something called “iDrive” in its fourth generation 7 Series? No one, and we mean no one, could figure how the hell that damn knob and screen worked. Sure, one of BMW’s systems engineers could easily explain it, but only a fellow engineer would actually get it. Over time, iDrive has been fine-tuned and it’s now (mostly) understandable. The rest of the industry, not only BMW competitors, quickly developed similar systems of their own. Today, a $20,000 Mazda3 also has an infotainment system. Of course the reasons for German luxury vehicle depreciation mentioned above are only a few out of many, but now it’s time to list a few specific examples. 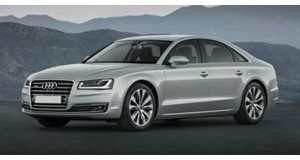 First up is the 2015 Audi A8. We found a used A8 L 4.0 T in solid overall condition selling for $43,800. Original MSRP: $77,400. 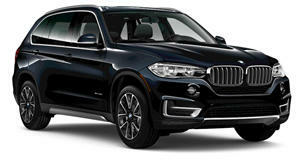 How about a 2015 BMW X5 xDrive35i for $33,446. Original MSRP: $56,200, and that’s without any optional packages. But let’s go back in time even further. A 2004 Maybach 57 cost over $305,000 brand new. All yours today for as little as $45,000, as found on . And don’t forget this very simple logic: any vehicle with an originally high MSRP will always be expensive to maintain, no matter its age. Of course there have been cases when decades-old German cars suddenly begin to dramatically increase in value. Examples include the and, more recently, . Unfortunately no one can predict whether values like these will appreciate over time or not. Don’t hold your breath. So where does this leave you as you stare down that gorgeous new BMW 5 Series the salesman is anxious to cut you a good price on? Should you go for it? Is buying better than leasing, or vice versa? Remember, once the lease ends you’re stuck with nothing. The decision is ultimately up to you and the strength of your bank balance. But here’s a generally good rule of thumb: if you want to spend a small fortune on any vehicle, then you’d better start with a big one.